If you grew up in California or have had children in California public schools, you know about the 4th grade mission project. At our children's school, every 4th grader had to build a model of one of the twenty-one California missions, originally established between 1769 and 1823. Neither HOB nor I grew up in California, so this was all new to us when our first son came home with this assignment. Being good parents, we threw ourselves into the project. We traveled to the mission in Santa Barbara so he could see it. We got all the literature we could on that mission and on missions in general. We helped him plan the construction and purchased about $50.00 worth of Styrofoam, along with glue, little plastic trees, card stock and a little mirror to replicate the a working "lavanderia." At first the construction crew was a happy one, having a discussion about the mission while happily sawing through chunks of Styrofoam with a bread knife. Then trouble hit. The model tilted here, sagged there, Then the back fell off. We were still working on it the night before the day it was due. We were all exhausted. We finally sent Sonny Boy to bed while we finished. Around midnight, obviously severely affected by the inhalation of glue and Styrofoam, I produced the hot glue gun and wielded it like a drunken cowboy. This turned out to be a very, very bad idea. When we entered the classroom on Open House night, we were shocked at how sophisticated some of the models were. There were ones that looked like they had been made from actual adobe. 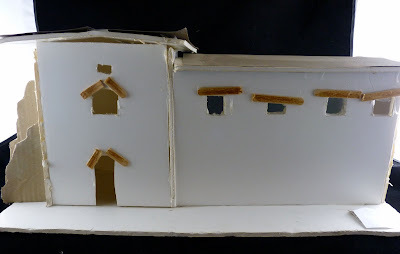 There were ones made out of sugar cubes, with fruit roll-ups imitating tile roofs and there was one with real lights on the inside of windows that came on when a door was opened. We rolled our eyes at the father and son team standing proudly at it. Sure the kid had installed the lighting system himself. Sure. Then we looked at our son’s gargantuan, tilted chemically-based homage to Pablo Picasso via a California Mission. Perhaps, we thought, people would think it was our son’s brilliant attempt at Cubism. The second covering on the roof was not there in the first phase of building, but when we awoke the morning it was due and found the cat had been gnawing on the roof during the night, we quickly added it. Let's just call it retrofitting. Just lately, HOB and I went on a road trip and ended up at La Purisima Mission which has been restored. Apparently, we have recovered from the trauma of the building of Mission #1, because we were both able to enjoy our time there. That's funny. :) Boyfriend and I like the second one. And the real mission is beautiful!! I remember my own mission project in the fourth grade. NOBODY helped me at all and I was humiliated when I saw what other kids brought to school. Obviously, their parents had helped them, or even totally made it for them. I think it's so much better when you can tell that a kid actually had something to do with a project. Even better if you can tell they did it all on their own. Parents are sometimes ridiculously competitive. No mission projects here. Instead we do things about KY. in fourth grade. Several years ago I made (son was suppose to but all he did was tell me it looked great)a quilt/wall hanging about KY. He got an A for the project and it hung on his wall for several years until he reached his teen years and felt he was too old for it to be in his room. It was a great project and I spent a lot of time on it. It now hangs in my classroom. I have to say that I...I mean my kids...built the most creative missions. In fact, one of my favorites was when I devised using little boxes of cereal and covering them graham crackers to make the mission itself. Yes...there was a lot of creativity in my mission construction. I do believe I should have been an art teacher sometimes! Never heard of this project, but brings back memories of my awful science fair efforts. 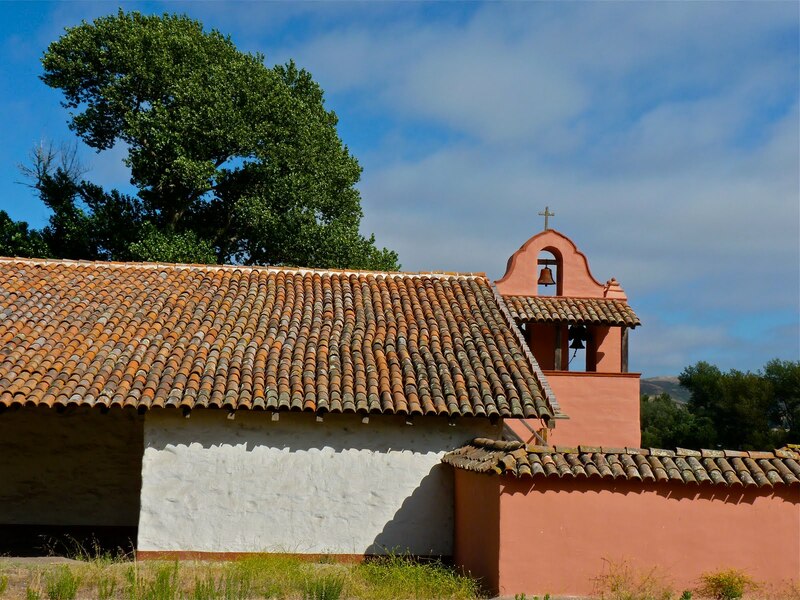 Love your photos of La Purisima Mission - looks beautiful! You should have seen Corey's diorama... *interesting* was definitely the word that comes to mind. Lighting system? Sure the boy did it!! Ha!! What a delightful post...all about a project guaranteed to drive any and all parents to drink!! Your mission pics are beautiful!! Looking so much forward to when MB comes home with projects like this. Love the pics of the mission. All of them were beautiful. Even your son's. That's exactly how I would have pictured it. What a wonderful project. A great way to keep busy hands busy...A great and wonderful learning experiance. No mission projects for me, but Kiddo has had to do intresting natural habitat displays. Those real buildings are something! I can picture you with a glue gun! The Missions are very pretty but I wouldn't want to build one! no. 2's attempt at mission contruction!! It's real and authentic and kitty blessed!! Oh it's wonderful!! Yay for him! That restored Mission place is lovely - very peaceful! Glad you enjoyed the trip. Thanks for sharing these lovely pics. Oh just wonderful. I would already be so dreading those school projects as I am anything but crafty however my husband's obsession with gaming, building models and more will I realize come in very handy :-) Finally, I have found a reason to celebrate his geekiness! I like the cat gnawing on it! I hate those projects that they send home for the "kids" to do. They are a) expensive b) time consuming and c) done by the parents. If the teachers think it is anything different, they are fooling themselves. I used to tell my teachers that if you don't want parents to help, don't send it home. I don't have the time or the patience to have some project sitting on the kitchen table for days--I'm moving it along at lightning speed, thank you very much. The mission project is weird. Is it a parochial school? We had a state project back in 3rd grade. I made a replica of Churchill Downs in KY in a shoe box. I did the stands complete with spires. Damn, it was my proudest moment. 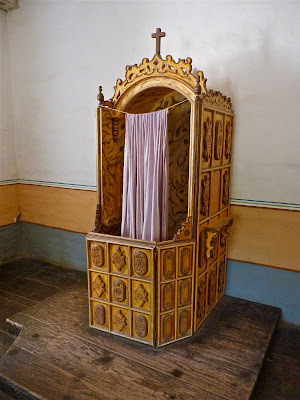 I'm so glad you've recovered and were able to enjoy your visit to the mission - the pictures are beautiful! Love this post! What a great family project...and sounds very exhausting. But you rocked it! Love the mission pics as well. Good history lesson. Do you know the show "New adventures of old Christine"? There was a show on this series, that was almost exactly like you described in this post. Except Christine ended up hiring someone to finish her sons project so that he wouldn´t have to be ashamed of what "they" made. I remember when our girls were young, that I hated these projects, that were totally over their head, and parents HAD to help, there was no way around it. 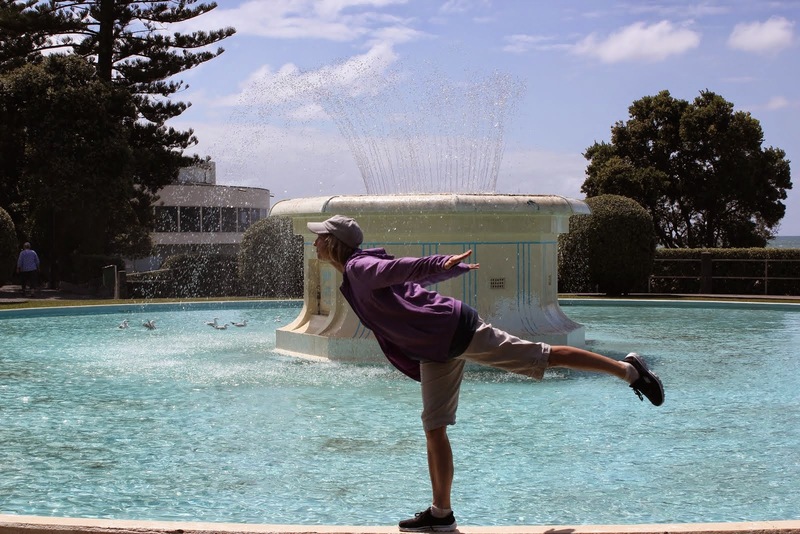 Great photos of the mission- also great creative work on the part of you son! I can't imagine you drunkenly wielding anything, BB! I like # 1. I can't even think about projects right now. I'm on deadline...ugh! Ha ha! Our second kid is totally getting the shaft when it comes to projects too. I think it must be written somewhere that that is the case. Thank goodness we live in Utah instead of California. Actually, I think our 4th graders have to do some Mormon pioneer project which is actually probably worse. Oh, Betty! I laughed so so hard! The white model is really cool, if you ask me!! I hate it when The Daughter has projects like that. It is useless busy work, I don't see how they learn anything. You should have told us the PHOTOS were the actual project...in your usual convincing manner, I bet I would have believed you! 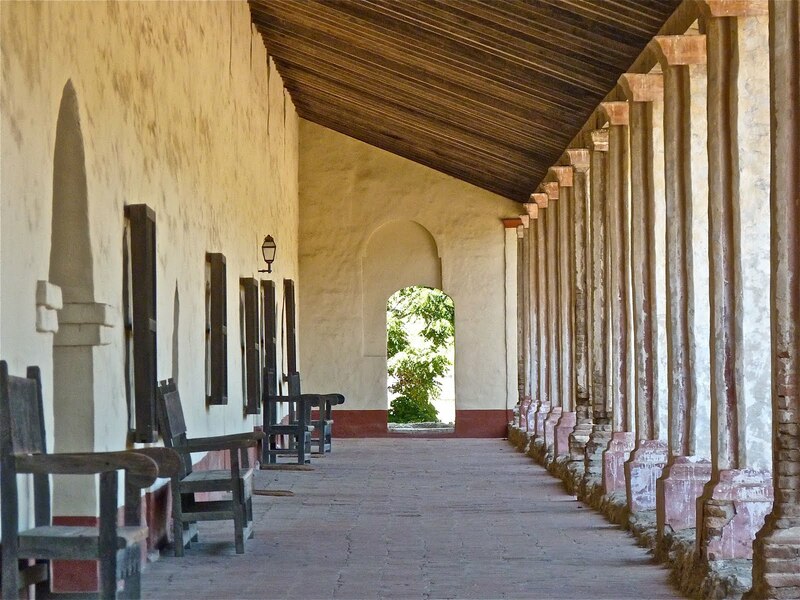 Yep, Godson did the mission project and traveled to the Santa Barbara Mission. Nice pictures ! I grew up in Fremont, CA near Mission San Jose, and I never heard about this project. 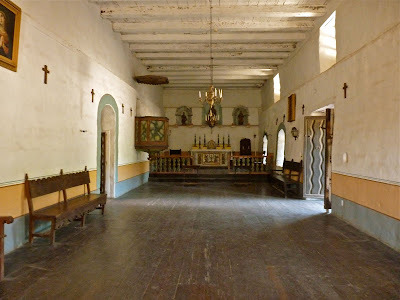 However, we did visit the mission for a school trip. The pictures you posted look so much like the mission in my city. Never had to do a mission project - but have the same type of memories/nightmares regarding the projects we did do. Wow, I did not know about the fourth grade mission project, and I live four blocks from Old Mission San Juan Bautista (which is also where I attend daily/weekly Mass). 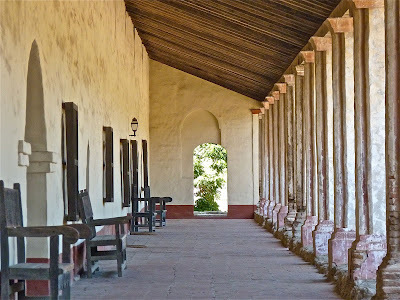 La Purisma looks hauntingly like Old Mission SJB. Mom and Dad are back.....Mom will post tomorrow about their trip....in the meantime we love today's pictures. Mom is crazy about the architecture of the buildings. The second one actually looks more realistic to an actual mission. I've never heard of the mission project though. Time for a talk with the kids! Yes, I remember all the focus on the CA missions. I didn't understand why. I think the model was optional, thank the Lord. Pun intended. i love your son's. and the pics you took. i must admit the post produced a bit of anxiety at the thought of me (always) remember the day before something like this was due and the freaking out/ scrambling that followed. Let's face it; when teacher's assign a project like this, you just know it's a parent/child project! 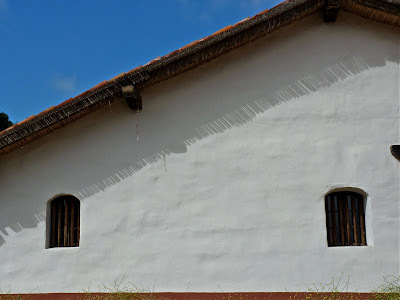 I love your photos of the mission! Those pictures are everything I love about calif. My In laws are in La Jolla, and I can't get enough of going there. You take beautiful pix, BB. This is so funny...our son is entering fourth grade and just this weekend my husband and I had THE discussion. You know, the one that goes "well, we can just buy him the kit." "NO! I refuse to settle for someone else's idea of what a mission looks like. We'll do it together! As a family! It will be FUN!" (husband snickers in the background) well, you get the idea. Anyway, we are embarking on that beloved year of the mission. After your tale, I MAY just let my son do it himself, too. or not. Such a cool project!! We moved from California when I was in third grade so I never got to participate =^( I can just see myself as a kid.. creating a mission and decorating it with little Zorro action figures. LOL! AH! The old Mission project! As a California transplant, I remember the scramble to create these in grade school. What a trip, I had forgotten all about them. Thanks for the trip down memory lane!